Noah did the exact same thing as his big brother. Touched the frosting, went "what is this" and showed me his hand as if he wanted me to wipe it off. 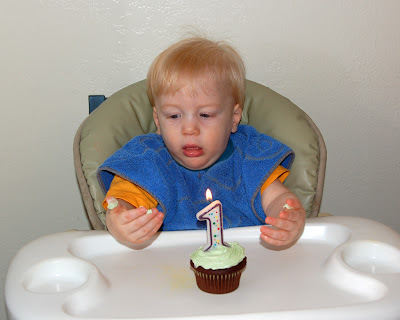 Unfortunately we are ridiculous parents and he put out the candle with his fingers rather than blowing. (somehow we forgot what we did with Cory) We all yelled as we saw him going for it, he didn't burn his fingers at all, but we traumatized the poor kid so bad he then refused to touch his cupcake. At least the birthday balloon was a hit! We have learned that the balloons from the Dollar Tree last FOREVER (and you think I'm kidding, we got one for my dad when he had knee surgery and it was still up by the ceiling 2 months later!) so we go there rather than the grocery store. Noah was a bit scared of it while we were in the store, but once we got home and he figured out he could pull it down by the string he was in heaven! 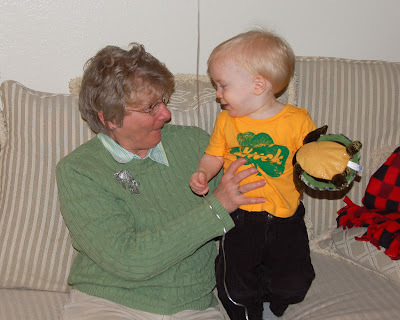 Birthday boy and his Nana! Best birthday present! 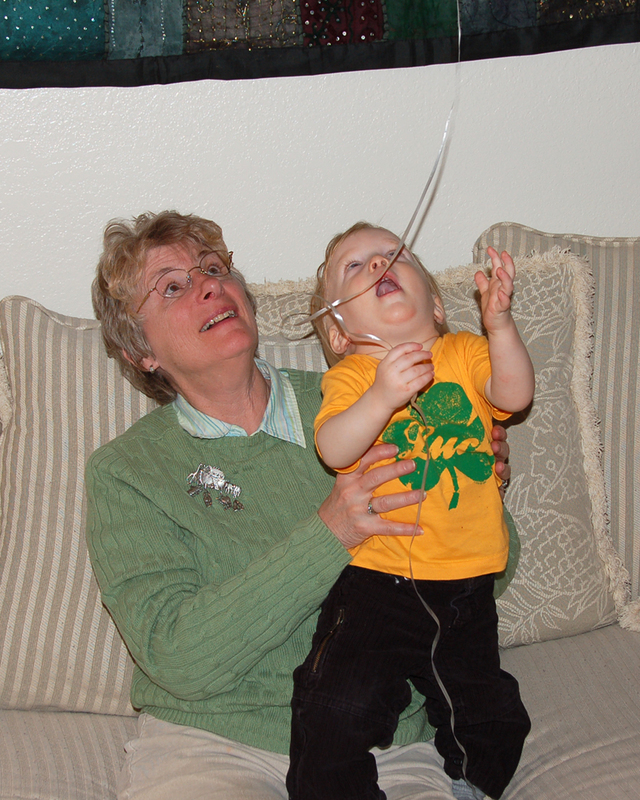 He loves to pull on the string and watch it bounce on the ceiling. 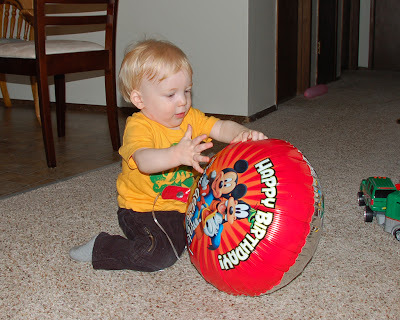 He will point to it and make his "aaaaahh" sound whenever he sees it. He will even stop nursing to point to it and "tell" me about it. The back side is shiny so you can also see your [warped] reflection in it. Very fun! 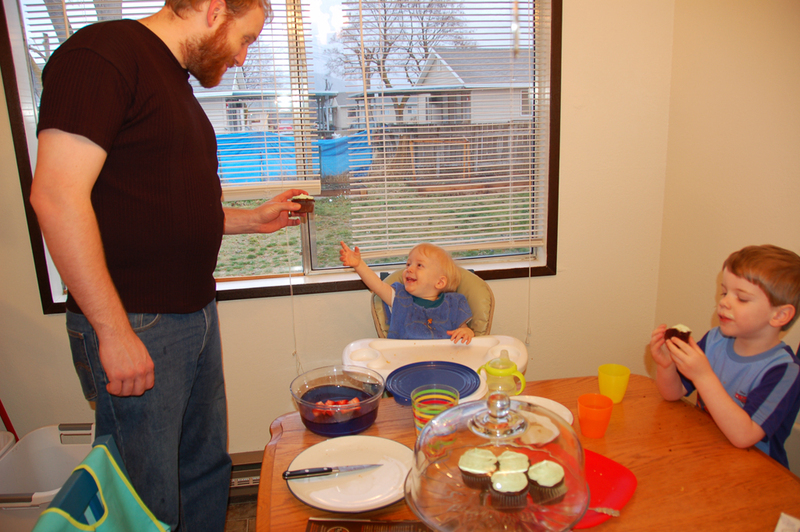 And we did finally convince him to eat a cupcake the next day. He discovered they were good and is here asking for one. Although he won't eat the frosting, just the chocolate part. I don't blame him as it was way too sweet for me even. 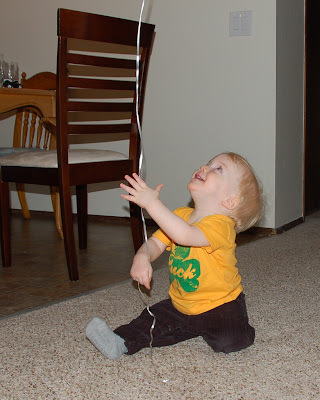 Of course the most memorable part was the fact that the balloon was enough motivation for him to start walking! Happy birthday again, Noah! And so good to hear that he's starting to walk! May you have many many more birthdays to come! BTW, your boys (incl Brian) are wearing t-shirt at home. Is it that warm already? Oooh! 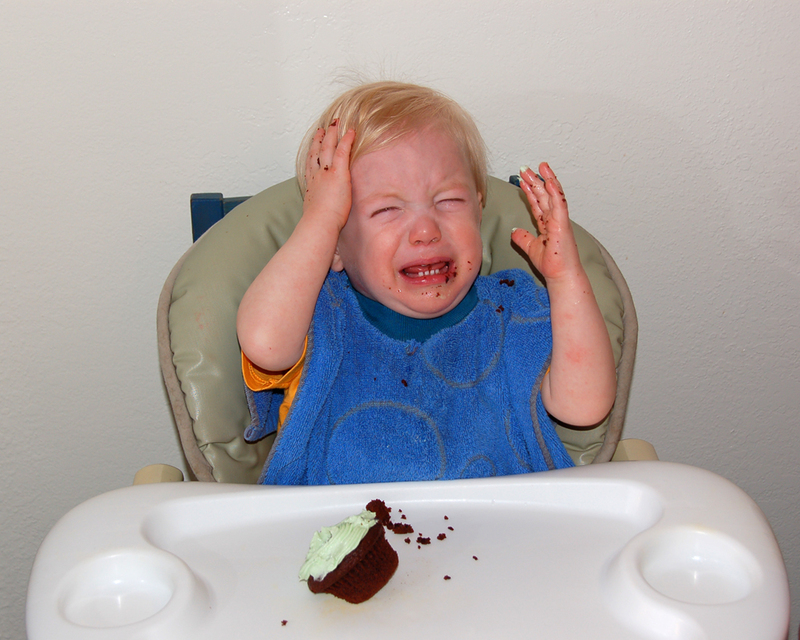 =D Poor baby with that cupcake! And yes, I know what you mean. Those dollar store balloons DO last forever! They are awesome!